NumPad Transformer will let you arm the NumPad of your keyboard with the ability to trigger frequently used functions, including mouse moves. The program tweaks two more buttons besides those in the NumPad — the ScrollLock and the Pause/Break buttons. ScrollLock becomes a “Copy” button, and Pause/Break becomes a “Paste” button. This way two of the most frequent commands can be performed with a single key press. Division (/) becomes a Tab Browser button (“Ctrl+Tab”.) This will let you use just a single key to browse the open tabs of your browser and of other ‘tabbed’ applications. Multiplication (*) becomes a “Close” button (“Ctrl+F4”), to let you close your tabs, documents, etc., pressing a single key. Addition (+) becomes a “Switcher” button, it will let you activate one by one your (non-minimized) open windows. It is an alternative –and very often the most useful– way to browse open windows, instead of using the Alt+Tab switch. Pressing the Delete key of the NumPad, will let you immediately Shutdown your PC, Restart Windows, Log Off your account, or send your monitor to Sleep! NumPad keys from 7 (top left) to 3 (bottom right) will now move the cursor of your mouse. Pressing the same buttons while holding the Shift key will give temporarily more speed to mouse movement. 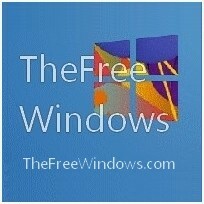 Read more and download to enjoy this powerful application. Euro Key will let you define a global shortcut for the currency of the European Union. It works in any application you may work with to help you use the Euro sign. Activator will minimize all inactive windows, leaving only your recently active window over the wallpaper of your desktop. Taskbar Labels lets you instantly turn on or off the text beside the taskbar icons with a keyboard shortcut. Power Copy will change three of your keyboard keys, all of them seldom used, if ever — the ScrollLock, the Pause and the Insert key. This way you can have them perform something really useful. The ScrollLock key becomes a Copy key. The Pause key a Paste key. The Insert key a Power key — to ShutDown your PC, Restart Windows, Log Off your account, or send your monitor to Sleep. KeyTweak lets you bypass the virtual keyboard in case you don’t find there the key you need to remap: when you press a key in the real keyboard this utility identifies it showing a number; then you can press another key which is also identified. After this double identification you can remap the first key to act as if you used the second key. SharpKeys will let you remap a keyboard key to some other key. Included in the application is a list of common keyboard keys and a Type Key feature to automatically recognize most keyboard keys, so that you can type the keys you need to change instead of searching for them in the list. For example, if a key is damaged, or if you are annoyed by accidental hits of a key like CapsLock, you can use SharpKeys to have your computer treat Caps Lock as if it was a shift key or anything. If a key is dead, you can map it some other, or if you have a keyboard with extra keys, for media etc., you can use this program to map those keys to others, perhaps more useful to you. MapKeyboard will let you remap your keyboard. You can use it to alter any key on your keyboard to function as a different one or altogether disable it. The changes made are universal across all applications & games. MapKeyboard does not need to be actively loaded in memory, in order for your changes to be applied each time you use your computer. Auto Clicker Typer will let you record all the clicking and typing that you do on your computer and then replay it. Click the “Stop” button to stop recording. You can save the script of the recording to a file. Once a script is loaded or recorded you have an option to specify custom delay between each action. You can set hotkeys for up to 10 different saved scripts. Volume2 will let you configure keyboard shortcuts to adjust volume level. It includes even more options and is very efficient and convenient. RapidTyping will help you learn blind typing. If you need to learn typing, this program will really help you (and you can turn off the animation if it bothers you). Keyboard Tweaker will let you create and manage global Hotkeys to do various tasks. Keystrokes Count desktop gadget will let you see how many times you press your keyboard keys. It will also give you the average speed in key-press per second. Keyboard Leds will let you have Caps, Num and Scroll lock LED indicators in the system tray and on your screen. It is useful if your keyboard lucks those indicators, or are damaged or for any reason invisible. KSG is a program that will let you enjoy typewriter sounds while you use your keyboard. If you prefer the sound of mechanical keyboards instead of that of a typewriter, you can add to KSG two sound schemes that feature mechanical keyboard sounds. Keyboard Checkup is a free service that will let you check the keys of your keyboard and make sure they function as expected. Whenever you press a key that is not damaged, the relevant virtual button flashes and acquires a border.